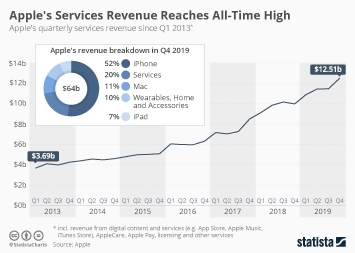 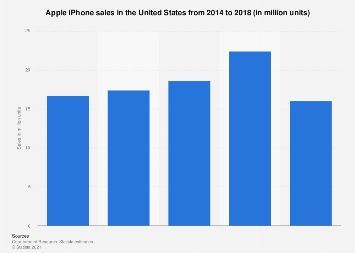 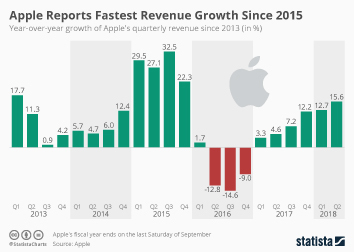 Despite the fact that Apple pushed the release of the anniversary iPhone X to November and thus to fiscal year 2018, iPhone sales returned to growth in Apple’s fiscal 2017 that ended September 30. 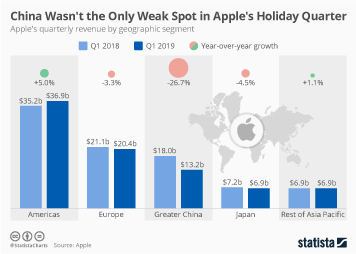 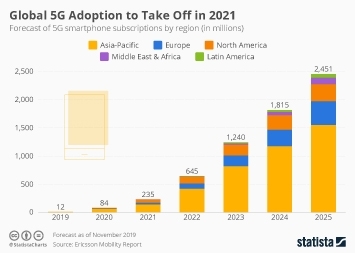 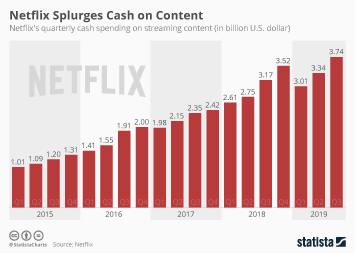 As the company reported yesterday, it sold 46.7 million phones in the fourth quarter, bringing the total for the fiscal year to 217 million units. 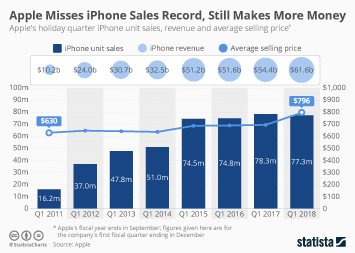 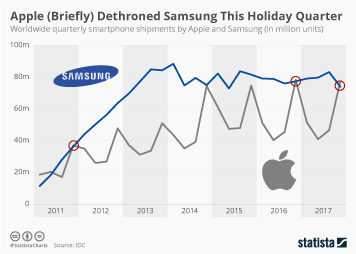 After iPhone sales had declined for the first time in the smartphone’s history last year, some analysts had proclaimed the end of the iPhone era, but, taking yesterday’s results and the hype surrounding the iPhone X into account, that judgement seems to have come prematurely to say the least. 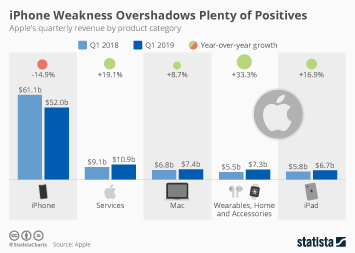 Despite production challenges limiting the initial supply of the iPhone X, analysts are expecting that the first major redesign since the iPhone 6 in 2014 could carry Apple to a new sales record in fiscal 2018. 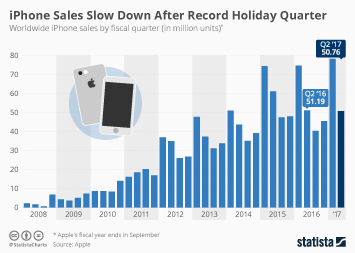 The previous record was set in 2015, when strong demand for the iPhone 6 and 6 Plus had driven iPhone sales to 231 million units. 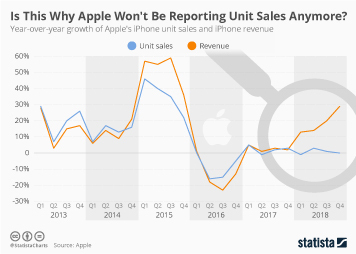 Analysts believe that Apple could sell as many as 242 million phones in the fiscal year ending September 2018, provided that supply issues will ease over time. 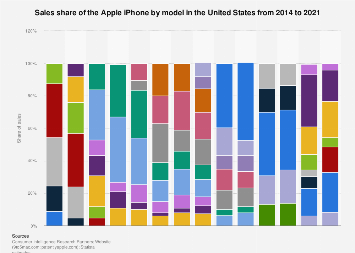 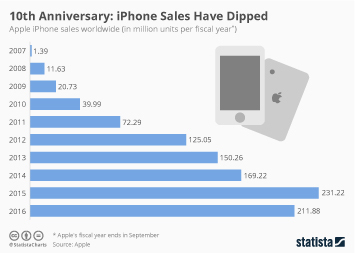 This chart shows iPhones sales since 2007. 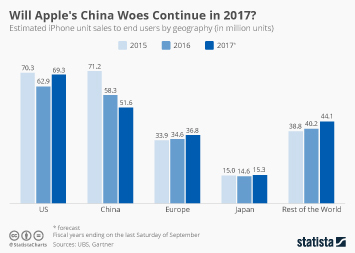 Will Apple's China Woes Continue in 2017?